Material: Environment friendly thermoplastic. Person weight max 150 kg/300 lbm. Measurement: 670 x 825 x 1050 mm. Easy Roller is tested and approved due to international standards and directives for manual wheelchairs. Easy Roller Pool & SPA (ER2P) is a manual wheelchair made from 100 % thermoplastic which is friendly to the environment. 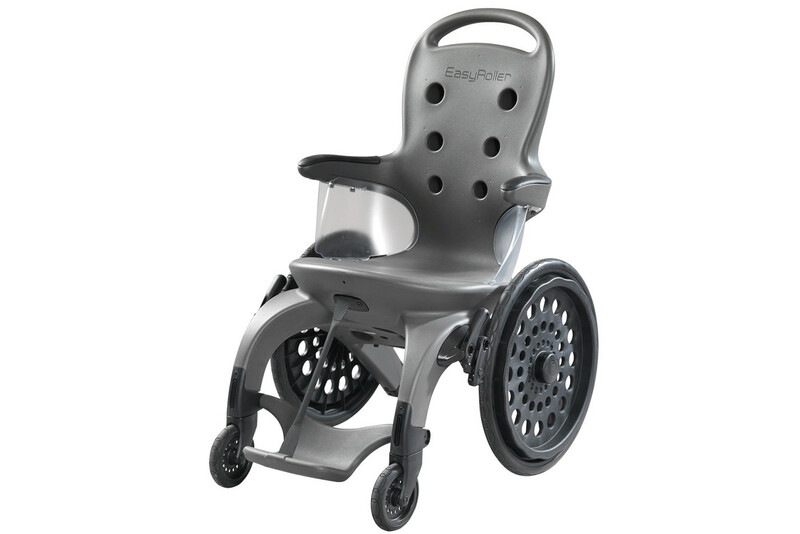 The wheelchair is especially designed for use in swimming pool and SPA. Normal wheelchairs contain metal which will be ruined by the chlorinated water in swimming pools. 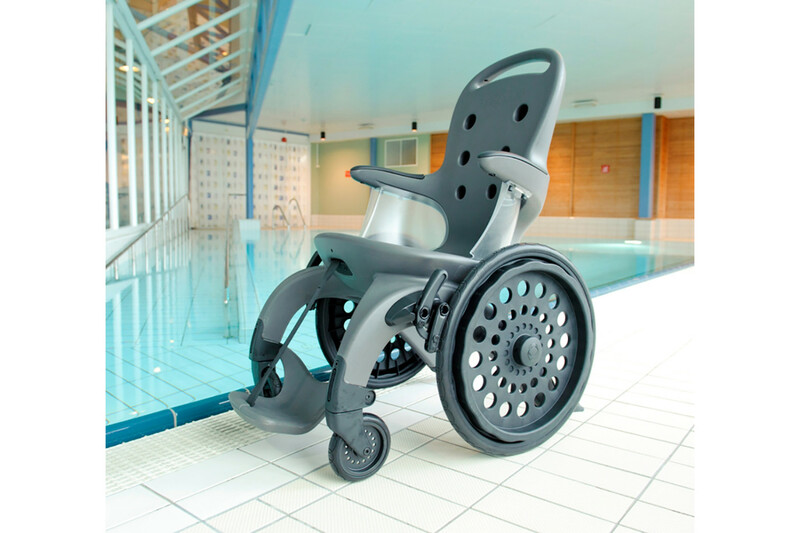 Easy Roller Pool is the first metal free wheelchair special designed for swimming pools and SPA, and frame and wheel bearings will therefore not rust. Ceramic files will not be ruined by the rust water. 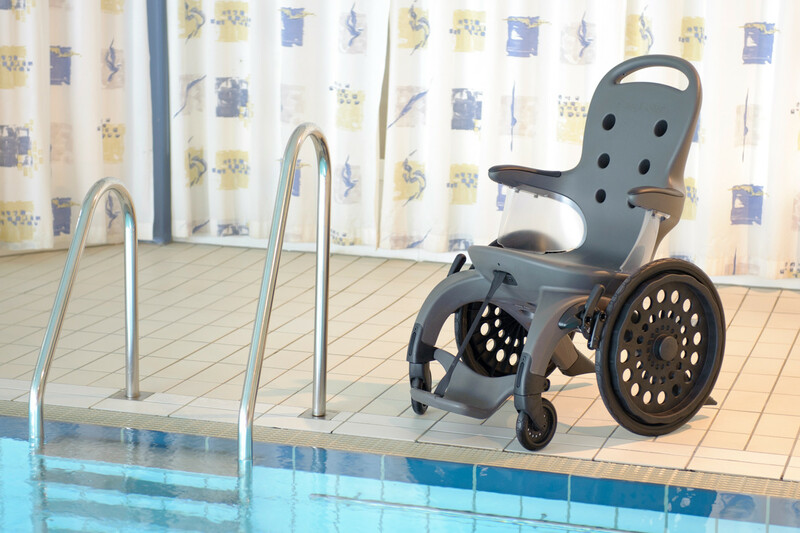 The frame of the wheelchair has hole which rapidly fill the frame with water, making pool access easy. By driving up from the pool, the frame will empty rapidly. A pool weight will give even better stability for the chair at the bottom of the pool. Easy Roller Pool has no parts that can be removed and it demands very little maintenance. The wheelchair also has good quality when it comes to driving and turning.